First servers will get this release already next week (18-24 of February, COM83 already have this). The feature will be implemented globally by end of February. More detailed rollout plan will be posted in Patch notes section as soon as we know all the details. we're happy to announce that with the next release another small but highly useful change would be added to Trade routes feature. When you create new trade route you'll now see drop-down menu where you'll have an option to select an interval with which you want your trade route to be duplicated. 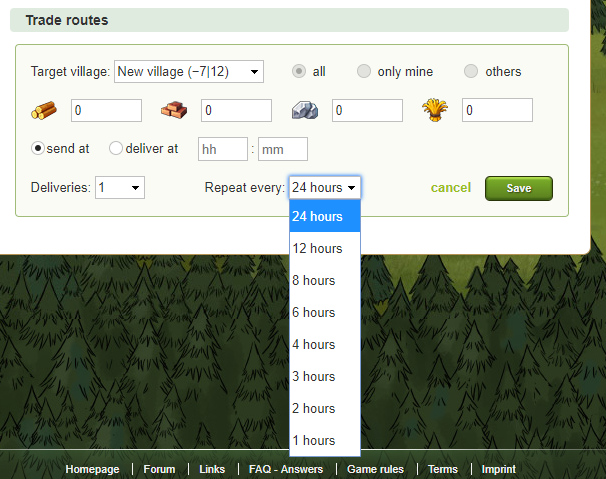 You set your trade route to start at 04:00, choose 2 deliveries and select "Repeat every 4 hours" and click "Save". The game will create trade routes with same settings at 04:00, 08:00, 12:00, 16:00, 20:00 and 00:00. 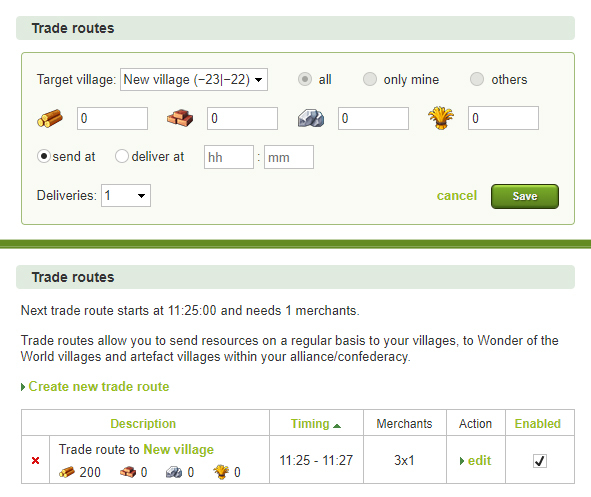 If you need, you can adjust created trade routes separately by clicking on "edit" button anytime. We believe that this another small adjustment will make trade route creating feature more convenient for all of you. The feature will be added to all gameworlds during next week (15th - 18th of April, 2019).